Within just the last decade the availability, as well as the necessity, for advanced education has completely skyrocketed. To be seriously considered for a job in today’s world you need to have at least a bachelor’s degree, if not an even more advanced degree like an online MBA degree. Unfortunately, it’s often extremely difficult to attend a college or university in the traditional manner. You may already be working, have to care for a family member, or simply live in a more geographically remote area. Luckily, thanks to the increasing emergence of online colleges, and the increasing financial aid of some of the best value schools in the world, it’s easier than ever to earn a degree in something that you love. Studying online allows you total flexibility. You can study from your own home at any time you choose, structuring your class schedule according to your specific individual needs. Also, as more and more colleges create distance learning opportunities, the quality of education has become equal to that of on-campus programs. The same professional faculty that teaches on-campus often teach the online sections as well, providing you top-level instruction from experts in a flexible format. Talk about the best of both worlds! Another huge appeal of online colleges is their affordability. Online schools often extend in-state rates to online students, if not discounted tuition rates. Financial aid opportunities are also pretty much equal to those on campus. Also, thanks to the flexible scheduling, you won’t be forced to pay for school while your priorities remain elsewhere. You decide when to put your focus on school and save money accordingly. So how do I choose the College that’s best for me? Choosing the school that best fits your unique needs can be a hugely difficult task. Sorting through hundreds of schooling options can be intimidating or downright overwhelming. That’s why we’ve hand-selected the very best schools based on the factors most important for busy students like you! We’ve found the best education at the best price, allowing you be certain that you’re maximizing your schooling experience. Browse through our lists of the best schools determined by total cost, student feedback, program offerings, and a number of other important factors. With that said, if you’re still unsure of the specific program you’re looking for or just want to get a general idea of schools offering online and on-campus programs, take a look at our introductory list of the top thirty-two colleges based on overall value. Each of these schools is fully accredited and offers at the very least several fully-online degree programs. Harvard is one of the very oldest universities in the entire country, founded back in 1636. Without question, it’s grown to become one of the most well-respected academic institutions in the world. The Boston school has top-level offerings in business, medicine, law, and a variety of other fields. A degree from Harvard almost guarantees you a wide array of opportunities in a professional field. With that said, a degree from Harvard is more affordable than you might think! Harvard comes in at No. 1 on our list thanks not only to its unmatched academic excellence but also its efforts to help students afford such a high-quality degree. 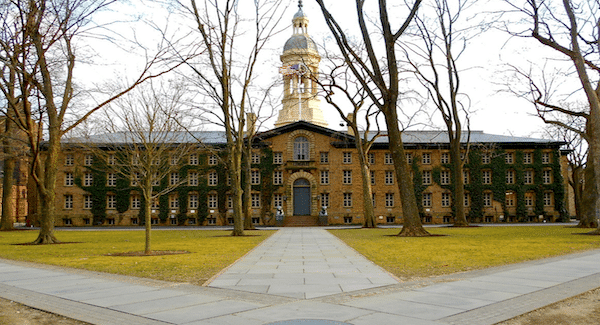 Another historic school on our list is Princeton University, founded in 1746 and located in Princeton, New Jersey. Two headlining schools at Princeton are its school of public affairs and the school of engineering and applied science. As a member of the Ivy League schools, Princeton provides exceptional education as well as top-tier sports programs like their perpetually nationally-ranked lacrosse team. Yale is another university that’s constantly ranked among the best in the nation for overall academic quality. It also makes our list of best value schools by providing a manageable total tuition cost. Yale was founded in 1701 and is located in New Haven, Connecticut. Some of the best programs at Yale include its management, medicine, art, and nursing programs. Another interesting aspect of this school is its student organizations including the A capella group the Whiffenpoofs and the Yale Dramatic Association. Brigham Young University, which was founded in 1875, is nestled in the mountains of Provo, Utah. Supported by the LDS Church, this school places service, faith, and responsibility as top priorities. Of course, the school provides a huge array of exceptional academic offerings. The business and accounting programs at BYU are always among the best in the nation. This university, interestingly, offers courses in over 55 different languages. BYU is also an ideal school for the outdoor recreation lover, with several national parks and limitless hiking and camping venues within a few minutes or hours of campus. Vanderbilt University is located in Nashville, Tennessee and was founded in 1873. Although the university offers great programs in things like human development, management, and nursing, one thing that makes this school unique and attractive is the off-campus entertainment opportunities provided by its location in Nashville. Students can enjoy some of the best music, food, and entertainment found anywhere in the world, all while pursuing a quality education. Located in Hanover, New Hampshire, this Ivy League school allows students the peace and beauty of a more rural setting. Dartmouth College is a unique fusion of a liberal arts college and a research university. Dartmouth thrives on its student involvement. Nearly a quarter of all students participate in one of the College’s Division I varsity sports, and Dartmouth’s Outing Club is actually the oldest and largest in the entire nation. In addition to generous financial aid, Dartmouth also offers tremendous academic opportunity in areas like medicine, business, and engineering. California Baptist University is located in Riverside, California and was founded in 1950. CBU offers associate, bachelor’s, master’s, and doctoral degrees – from music to engineering, to behavioral and social sciences, there’s a study program for everyone. CBU provides a Christ-centered educational experience, integrating academic with spiritual opportunities for their students’ development. Like to go exploring? Riverside is located near Los Angeles, so weekend trips to the beach are one of just many things available to students at CBU. Wake Forest University is located in Winston-Salem, North Carolina and currently serves around 8,000 students on an annual basis. As members of the ACC, students at Wake Forest can either participate in one of many top-level collegiate athletic programs or support some of the school’s larger and more nationally prominent teams. While doing so, the law, business, and medicine programs are all great options for an academic degree. 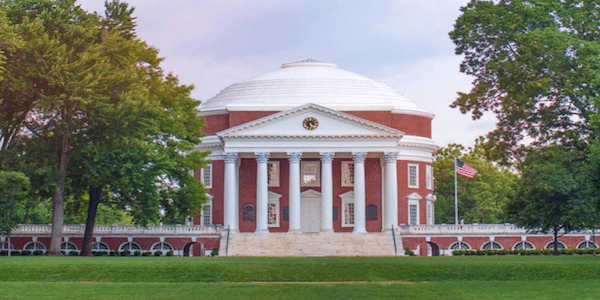 Thomas Jefferson actually founded the University of Virginia back in 1819. The Charlottesville school now hosts over 27,000 students each year who are pursuing an education in a wide variety of areas. Some of the best offerings at Virginia come from its school of business, school of education, and school of medicine. A large majority of students live off campus, and another large group takes advantage of sororities or fraternities, giving students the opportunity to maximize their social experience while attending school. Washington State University resides in the town of Pullman, Washington and was first founded in 1890. WSU has over 100 degree programs available for those seeking bachelor’s, master’s, and doctoral degree programs. In 2016, WSU gave $380 million in financial aid and scholarships for undergraduate students. Love traveling? WSU has over 600 study abroad programs available to its students in over 70 countries from around the world, so take that semester coursework all the way to Switzerland and experience something unique. Founded in 1818, Saint Louis University is a private Catholic, Jesuit school. SLU’s on-campus ministry hosts special events and retreats every year and also hosts mass each day at the on-campus church. SLU also offers more than 150 student organizations. Another interesting fact about this school is its satellite campus in Madrid, Spain. Students can study there for a short period of time, or their entire collegiate career if desired. 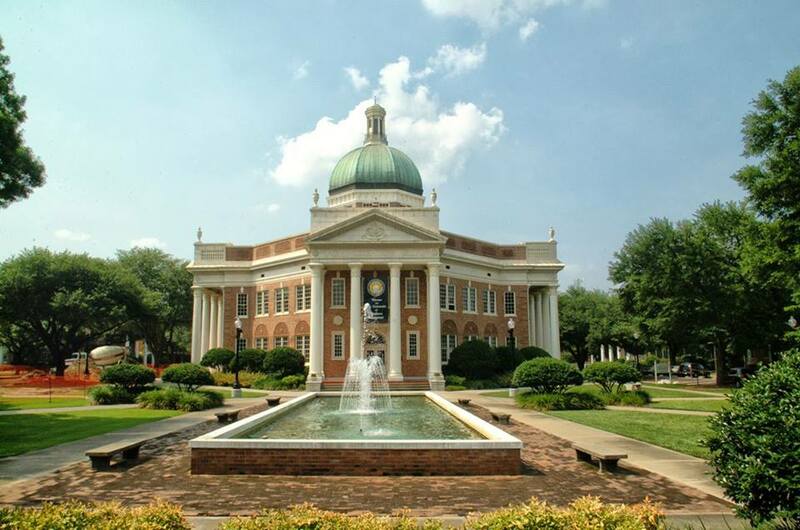 The University of Southern Mississippi is located in Hattiesburg, Mississippi and was founded in 1910. The university has more than 180 programs available for undergraduate and graduate students. Southern Miss prides itself on academics and athletics; their football team has won five Conference USA Championships and was victorious in the 2016 New Orleans Bowl. The New Jersey Institute of Technology is yet another east coast school located in Newark, New Jersey. This public institution was founded in 1881 and now serves a total student population of nearly 12,000. While providing a high-quality stem-oriented education, NJIT also provides a small-college feel, capitalizing on smaller class sizes and the intimate feel of a tight-knit academic community. This school is also widely recognized for providing exceptional career services. The University of South Dakota first opened its doors in 1862 and is located in Vermillion, South Dakota. USD has more than 200 areas of study for undergraduate and graduate students, such as fields in Medicine and Law. Need help getting a degree but need more flexibility and affordability? USD offers online degrees and tuition is comparable; whether or not you’re an in-state resident or out-of-state student, tuition is offered at the same price, and it’s very affordable as is. Vance-Granville Community College first opened its doors in 1969 and is situated in Henderson, North Carolina. VGCC offers more than 40 degree, diploma, and certificate programs available to students; from Computer Science to Health Sciences to Law and Public Safety, there are different options for everyone’s unique interests. With its affordable tuition, VGCC might be one of the top places to start an academic career. Texas Tech University was founded in 1923 and can be found in Lubbock, Texas. Texas Tech offers a higher education in twelve colleges and school academic areas, with more than 150 undergraduate degrees available to students, as well as over a hundred graduate and doctoral degrees. Did you know that Texas Tech is considered one of the “Highest Research Activity” schools in the nation? They are among 115 universities distinguished by the Carnegie Classification of Institutions of Higher Education in the category. Georgia Southwestern State University can be found in Americus, Georgia and initially opened in 1906. The school offers over 40 undergraduate and graduate degrees in areas such as arts and sciences, business administration, mathematics, education, and nursing. Did you know GSW offers over $800,000 in scholarship aid? GSW’s Foundation, along with alumni, friends, current and former faculty and staff members contribute to these private scholarships. Wayne Community College was founded in 1958 and is located in Goldsboro, North Carolina. WCC provides more than 70 credit programs including courses in engineering, health services, and business, all of which can transfer to four-year universities. Many courses are offered online for students to have a more accessible education. Interesting fact, WCC has a degree program in Aviation Systems Technology, and the classroom and hanger are located at the Wayne Executive Jetport. Northern Kentucky University is located in Highland Heights, Kentucky and began in the year 1946. NKU has over 70 majors as well as graduate programs. Located just minutes from Cincinnati, students have museums, parks, shows, and entertainment at their fingertips. There are also more than 300 NKU students who study abroad. Youngstown State University is the namesake of its home, Youngstown, Ohio and was founded in 1908. YSU offers more than 115 undergraduate programs and over 40 graduate programs. There are six colleges or areas of study available which include business administration, creative arts and communications, and STEM amongst others. YSU’s campus is located smack-dab in the middle of Cleveland and Pittsburgh, so if you like traveling on the weekends you have both major cities available to choose from. You can also stay in town and enjoy performances at the Covelli Centre or you can unwind at the Mill Creek Metro Parks. Bemidji State University first began in 1919 and is located in Bemidji, Minnesota. BSU offers over 65 undergraduate degree programs and 14 graduate programs. There are unique programs available for those interested in pursuing a diverse academic career, such as Aquatic Biology, Indian Studies, and Wilderness Management. Nearby campus, Lake Bemidji freezes over around November and doesn’t melt until April, which means students get to enjoy a wonderful winter ice skating on the lake. University of Wisconsin – Superior is located in Superior, Wisconsin and first started in 1893. With so many degree programs to choose from, both undergraduate and graduate, UW-Superior offers some of its top programs in fields like Education, Biology, Legal Studies, and Transportation & Logistics. Besides making tuition affordable compared to most other institutions, they also have online and certificate programs available to better meet their students’ needs. FHSU was ranked the 24th best online Bachelor’s degree program in the nation by U.S. News and World Report in 2016. Fort Hays offers programs that are specifically designed for adult learners in over 40 majors and disciplines. Some of the best degrees offered by Fort Hays State included Business Teacher Licensure, Marketing, and Tourism and Hospitality Management. VCSU offers online classes with an emphasis in courses on education to help teachers improve their skill set and abilities. This allows teachers to receive pay increases and promotions. VCSU also offers more traditional degrees and programs for traditional online students like Business Education, Career and Technical Education, Professional Communication, and Music. Dickinson State University was originally established in 1916 and it was then called Dickinson State Normal School. The campus is located in Dickinson, North Dakota. The university offers 40 bachelor’s degree programs as well as some associate degree programs and certification programs. Students have the option to attend one of three campuses on-site or pursue an education through their online programs. There are many experiences available for those who like the outdoors, such as camping, hiking, and fishing in the beauty of western North Dakota. Great Basin College’s main campus can be found in Elko, Nevada and was first founded in 1967. GBC offers flexible coursework that is completely online for an array of bachelor’s degrees. This college also offers some extremely unique courses and programs online including Land Surveying/Geomatics, Graphic Communications, and Instrumentation. Craven Community College originally opened in the early 1960s and it has two campuses – one in New Bern and the other in Havelock, both in North Carolina. There’s a variety of associate degrees available for all students, and some of the programs available include accounting, criminal justice technology, and early childhood education. If you’re thinking about transferring from CCC to pursue a bachelor’s degree, they have the LAUT (Liberal Arts & University Transfer) program in order to help students seamlessly transfer to the university of their choice. The LAUT staff and advising team are determined to help students in continuing their academic careers. Florida State College at Jacksonville was founded in 1965 and can be found in, you guessed it, Jacksonville, Florida. With over 150 degree programs to choose from, including bachelor’s degrees, FSCJ offers a quality education at an affordable price. They have online courses and accelerated learning programs available for those who need the flexibility to finish their education. Did you know that FSCJ has a Vision Education & Rehabilitation Center? It’s a rehabilitation program available for adults and high school students with visual impairment; the center trains over 300 students annually. Park University lies north of the Missouri River in the city of Parkville and first opened in 1875. Park has about 100 undergraduate degree programs available to students – from Spanish to Public Relations, from Finance to Interior Design, there is an option for every kind of student. One of Park’s great features is the Park Global Warrior Center, which helps guide students who serve in the military. The Center provides many resources, including laptops, a library, and a relaxation station in order to help serve active duty members, veterans, family members, and dependents. Cochise College was founded in 1964 and was one of the first community colleges in Arizona. Found in Douglas, Arizona, they have many degree programs to choose from, including healthcare and technology education programs. Cochise has strong relations with businesses in healthcare, helping many of its graduates start their careers in some of the local medical centers. The University of Alaska Fairbanks offers the state’s best online courses and degrees. Their courses are available at any time during the year, which allows ultimate flexibility in planning and scheduling education. This university offers a full range of degree and certificate options ranging from an associate degree in Applied Business to a bachelor’s degree in Justice, to even graduate degrees in Online Innovation and Design. South Texas College offers an online education at a price that’s hard to match. They have one of the best selections of disciplines with more than 30 different degrees and certificates to choose from. With incredibly responsive faculty and flexible coursework, South Texas College provides the ideal online student experience. Some of the best degrees offered at South Texas include a bachelor’s in criminal justice, political science, and organizational leadership. If you’re looking to begin your college search, or already have firm plans of what you’d like to study, any of these schools would be a great place to start. Each of the colleges listed here provides the best possible student experience either on-campus or online. If your school isn’t on this list but deserves consideration for an updated version, please contact us today. We’re always looking for the best schools across the country, providing the best online and on-campus education for students from all walks of life. Be sure to check out our other resources for students!